The data-driven marketing association has partnered with National Retail Association, the Australian Institute of Superannuation Trustees, the Fundraising Institute of Australia, the Club Managers’ Association of Australia, and the career FAQ Group to offer its modular curriculum, which focuses on building data and digital skills across marketing professionals. All five partners will promote a selected range of course, from entry-level to advanced covering hot topic areas such as analytics, creative, content, data, digital marketing, marketing technology, mobile, privacy and compliance, search marketing and social, under their respective brands, powered by ADMA IQ. The news of cross-industry alliances comes just a week after ADMA confirmed a new deal with the Australian Marketing Institute, which sees its education offering extended to the professional institute’s member base under the moniker AMI Online Training, powered by ADMA IQ. “The well-documented gap in appropriately skilled marketers when it comes to data analytics and data-driven marketing extends across all sectors and sizes of Australian industry,” said ADMA CEO, Jodie Sangster. There’s no doubt modern marketing functions have become increasingly data and analytics driven, and with the rise of social channels, skills in social media marketing, content development and distribution have also risen to the fore. 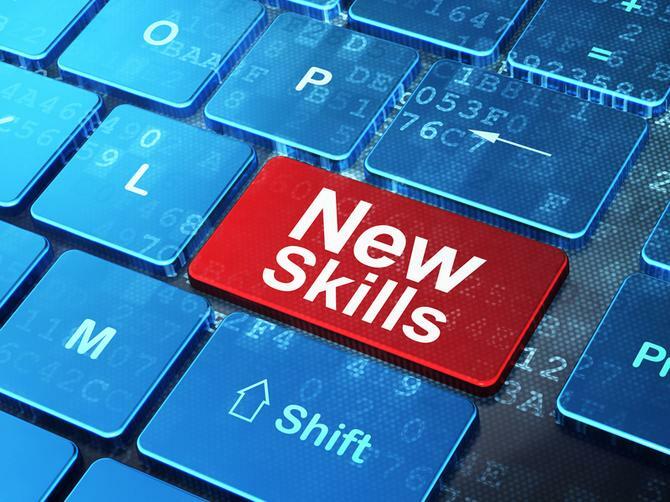 The latest Hays report on marketing skills most in demand in Q1 this year, for example, highlighted digital marketing and social media strategy, content creation and management. A similar study by Robert Walters also saw demand for digital and data-driven marketing skills pushing up salary expectations even as most Australian professional sales and marketing salaries remain steady. In its recent Salary Survey, AIMIA (the Digital Industry Association of Australia) also found the continued skills gap within the digital industry is creating a highly mobile workforce of employees that can easily job hop to more responsibility and pay due to the talent shortage present in the Australian market. Digital professionals in Melbourne and Sydney are much more likely to change employers, with 87 per cent and 83 per cent of the respective digital community open to such change. In addition, the association found 457 visa represented 10 per cent of the digital industry workforce, 10 times the average for other industries with the national average at 1 per cent. Senior digital executives have a median salary of $200,000, much higher than all other digital job categories, while the overall salary average for digital positions was around $100,000. AIMIA was acquired by ADMA in February. “We consulted widely across industry sectors when designing our new curriculum and the refrain was constant: Organisations are keen to embrace new marketing opportunities but are in desperate need of skilled data-driven marketing professionals to do so,” Sangster added.